Taking advantage of an empty seat on the next Soyuz, the American Peggy Whitson will extend her third mission by 3 months, returning in September instead of June. On her return, she will have accumulated over 660 days in space (an American record). The NASA astronaut Peggy Whitson flew to the International Space Station from Baikonur on 18 November 2016 on board Soyuz MS-03 with her Russian colleague Oleg Novitskiy and the European Space Agency’s (ESA) French astronaut, Thomas Pesquet. The space station’s crew rotation meant that this trio was scheduled to return at the start of June. However, the next Soyuz flight carrying just 2 people is giving her the opportunity to stay for longer. The ISS crews, made up of 6 astronauts, are in fact changed over 3 astronauts at a time using the Russian three-seater Soyuz spacecraft. Thus, on 10 April, 3 of the 6 space station’s occupants will return to Earth on board Soyuz MS-02, namely the Russians Sergey Ryzhikov and Andrei Borisenko and the American Robert “Shane” Kimbrough. The changeover crew arrives around 20 April with Soyuz MS-04. But this time, the spacecraft will carry just two passengers, the Russian Fyodor Yurchikhin and the American Jack Fisher. This is because the Russian space agency Roscosmos wants to make savings by reducing the number of cosmonauts permanently on board the ISS to 2. Born on 9 February 1960, this native of Iowa was brought up in a farming environment before becoming a brilliant biochemistry student (PhD at Rice University). From 1991 to 1995, she worked at NASA within the medical section at the Johnson Centre in Houston. In 1996, the U.S. Agency selected her as an astronaut. She has since taken part in 3 missions, all on board the International Space Station, in 2002, 2007-2008 and the current mission since 2016. Her career has already resulted in her achieving firsts and records. During her second mission, she became the first woman to command the ISS (she will take up this role again on 10 April). 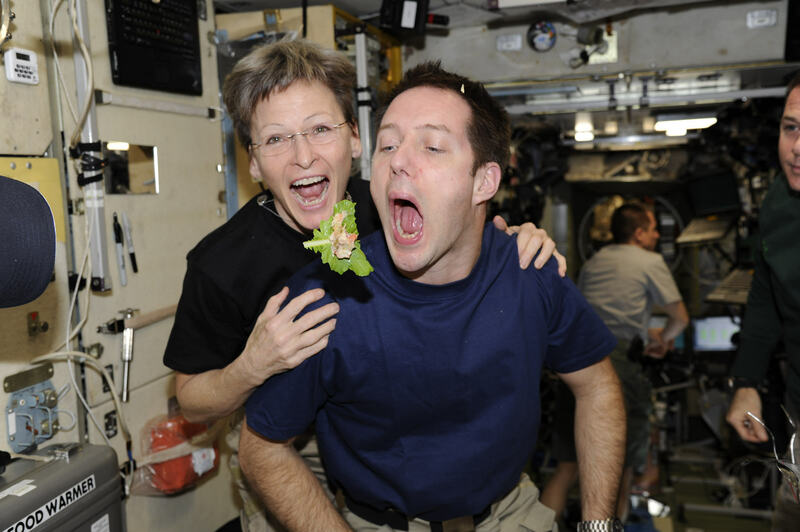 In 2012, she was also NASA’s first female Chief Astronaut (and also the first in this post not to be a trained pilot). She left this role in 2015 so that she could return to space. 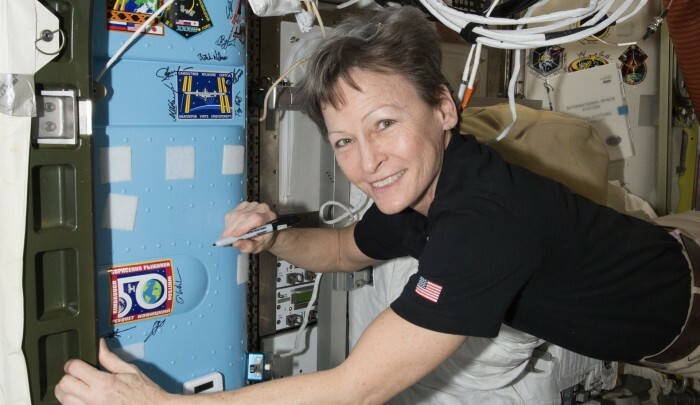 With her current flight and aged 57, Peggy Whitson is not only the oldest woman in space but also the woman who has completed the most spacewalks with her eighth on 30 March. On 24 April, she will exceed 534 accumulated days on orbit (across 3 missions), beating the American record held by her fellow countryman Jeff Williams. 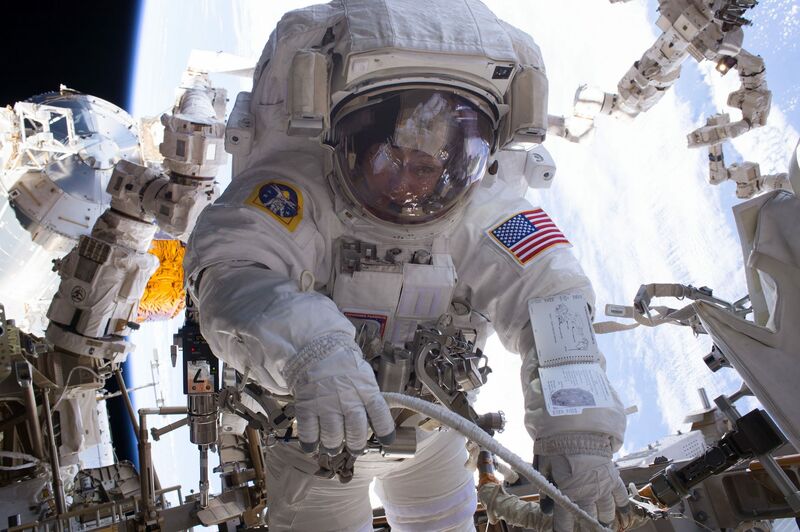 On her return in early September, she will be a little over 660 days, which will make her the American astronaut (man or woman) with the longest experience in space. Finally, with almost 290 consecutive days in space on her return, she will overtake the 199 days of ESA’s Italian astronaut Samantha Cristoforetti for the female record for the longest single spaceflight. The Astronaut Expo at the Cité de l’Espace in Toulouse is currently offering everyone the chance to understand the challenges that the men and women who accomplish such missions encounter in space.